Wah writing on this is not gonna help my dieting plans but I had it weeks back and this is a sure winner with most of my foodie friends and readers here. 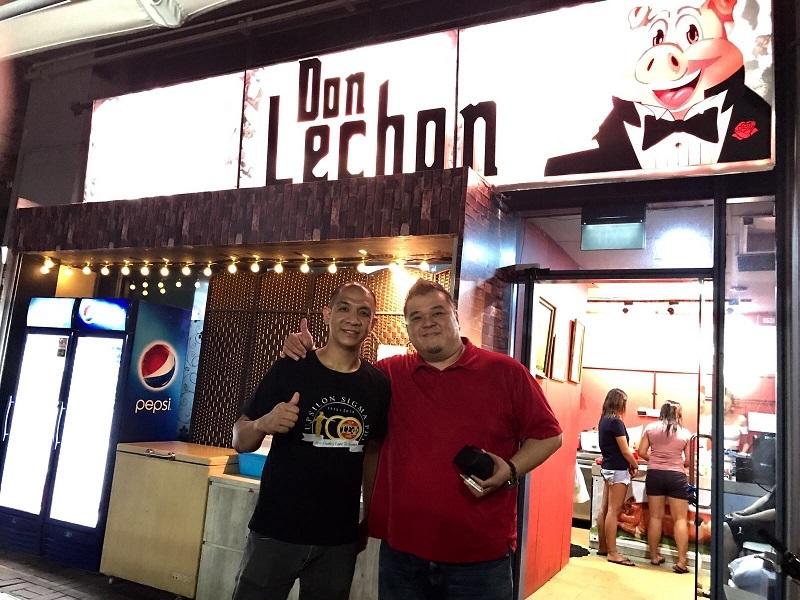 Was invited to check out Don Lechon, located at the back of Grandlink Square which is not easy to spot unless you walk inwards, and I was quite impressed with the food and passion in it! 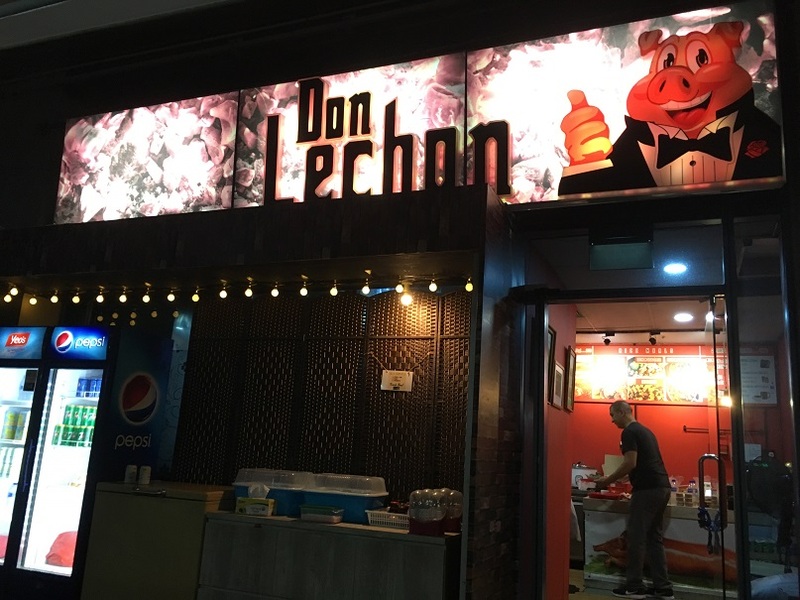 Ok back to Don Lechon, this quaint eatery has already a following as around the area lives many fellow Filipinos and this is truly comfort food for them. 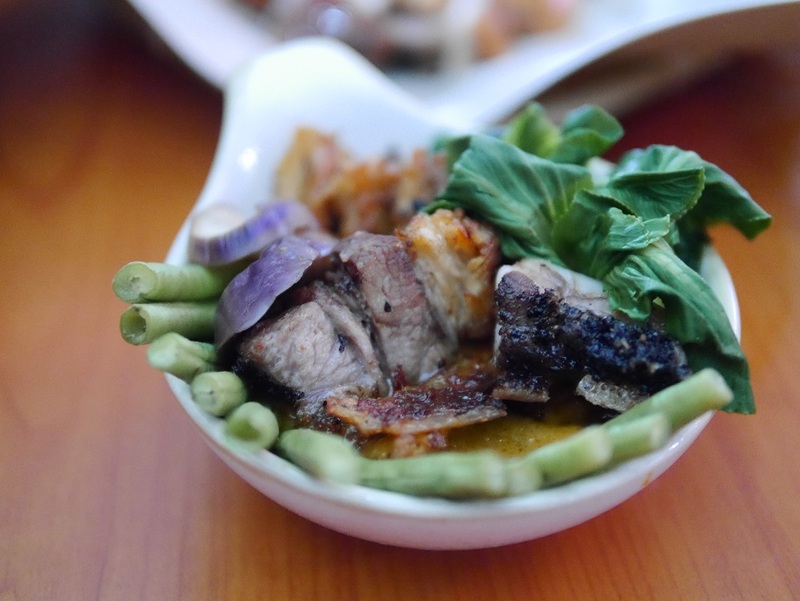 While they can cook many other items at home like Sinigang (Sour soup) and Kare Kare (Meat Stew), but the use of lechon in them makes a smoky difference! Started by a native Pinoy, Kris, who was originally from Manila and have been in Singapore for more than 8 years already. 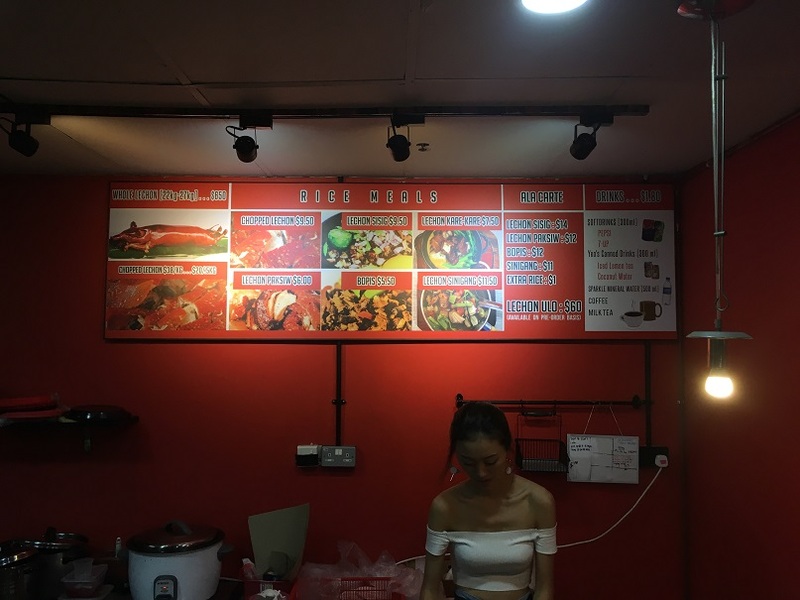 Going into this food business have always been his passion and to be honest, the food is really yummy and they do have dishes for one pax to groups. So to my Pinoy friends and readers in Singapore, you prolly know about this place already but you may wanna visit them soon! 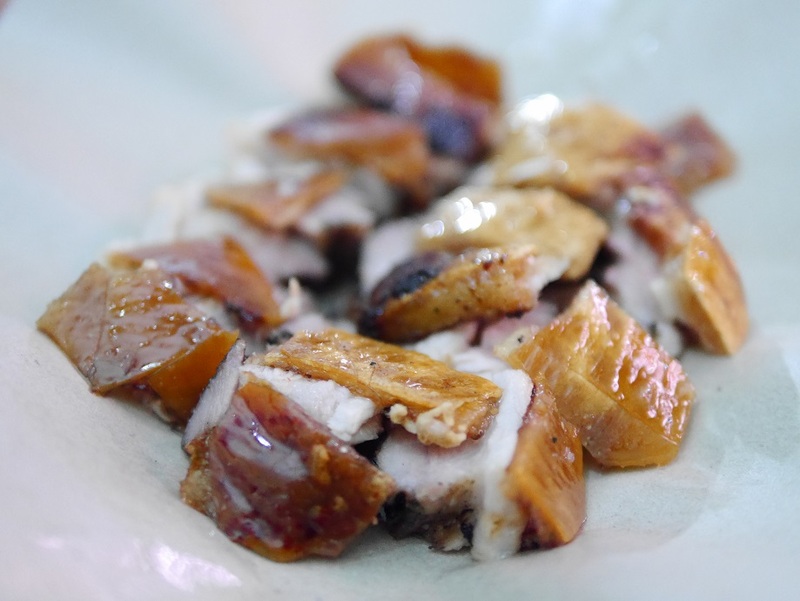 Chopped Lechon ($9.50). Crackling skin of a suckling pig, this is very close to our Chinese Sio Bak or even the suckling pig itself. Damn yummy! 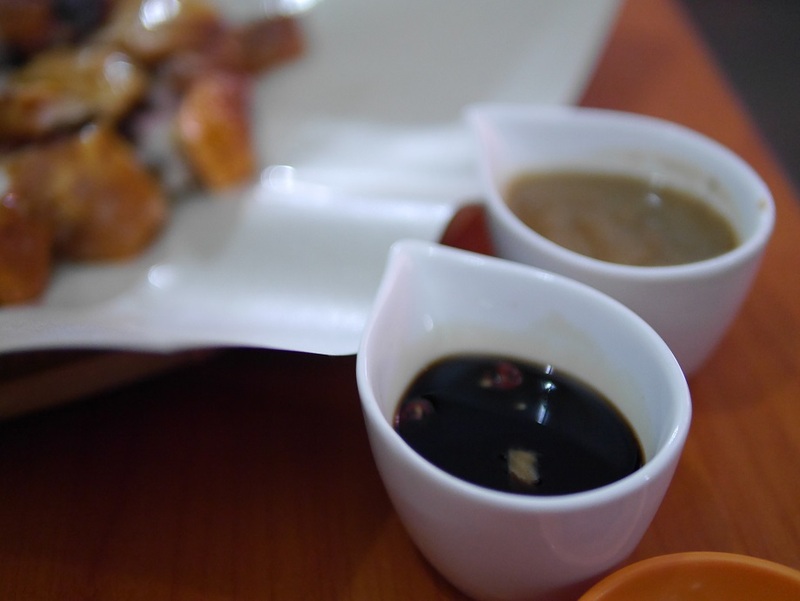 Sauces to go with your Chopped Lechon. The darker one is a little sourish which goes damn well with the crispy pork. The other one is made from blood, a little acquired for me. 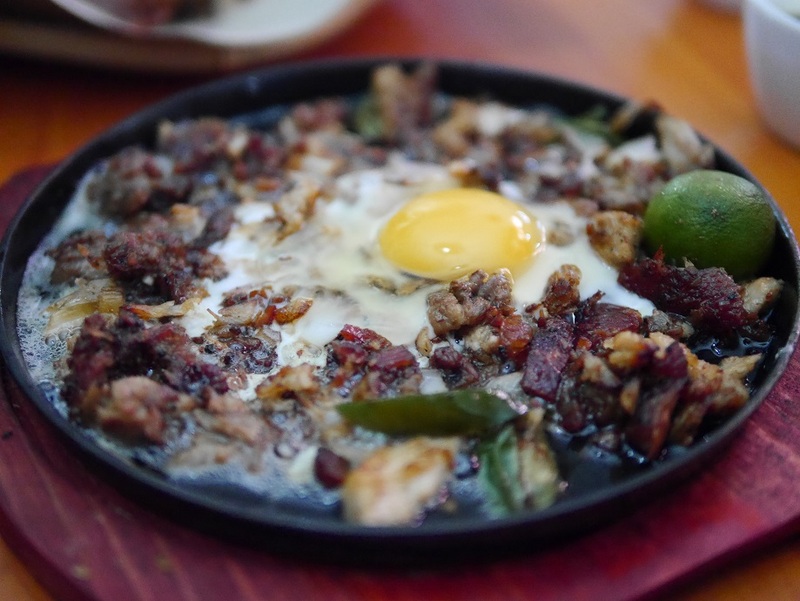 Lechon Sisig ($9.50) – My favourite dish by far cos of the lime and chilli peppers used inside. You definitely need a plate of white rice for this! 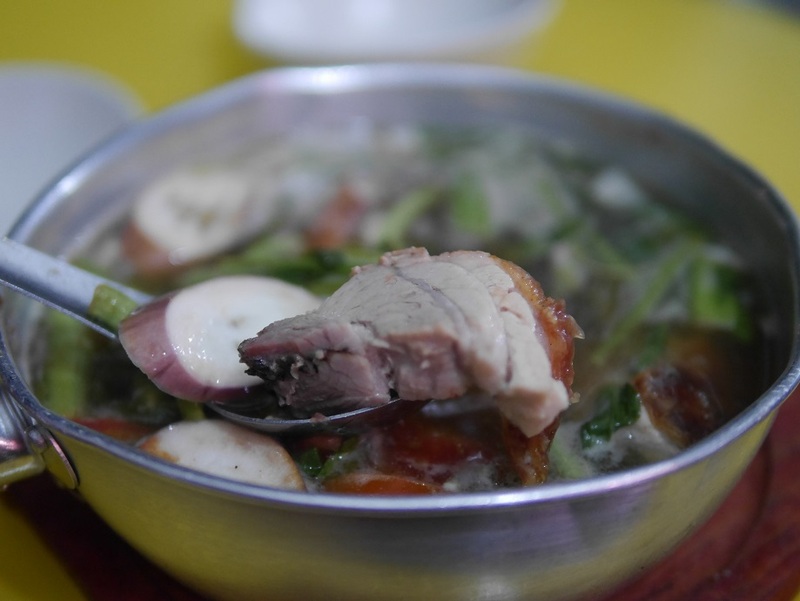 Lechon Sinigang ($11.50). Big portion for this and great for those who needs more food like me. 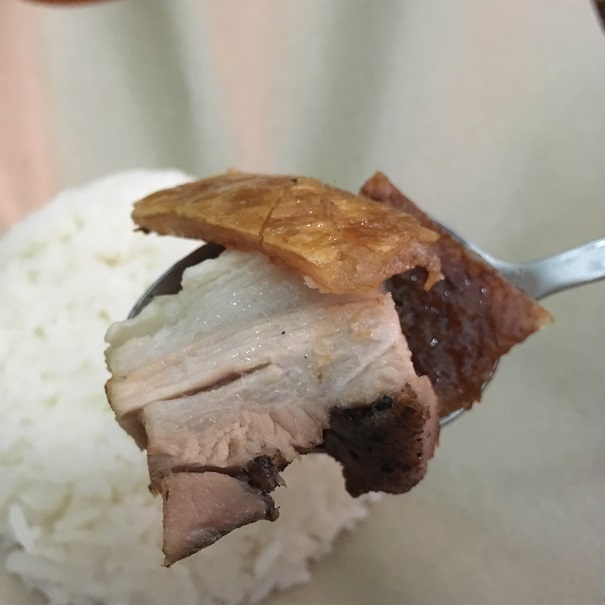 Lechon chunks are used inside and really awesome with rice. Sourish and savoury, how can you go wrong with that? Lechon Paksiw ($6.00). 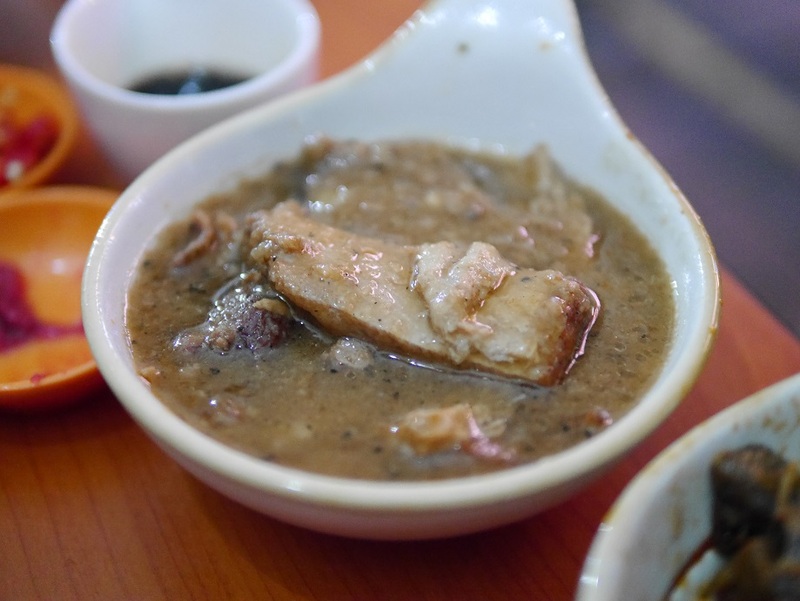 Paksiw to me is like a stew and in this case, lechon is used as the meat base and simmered with vinegar and perhaps fish sauce. Very appetising dish. Bopis ($5.50). 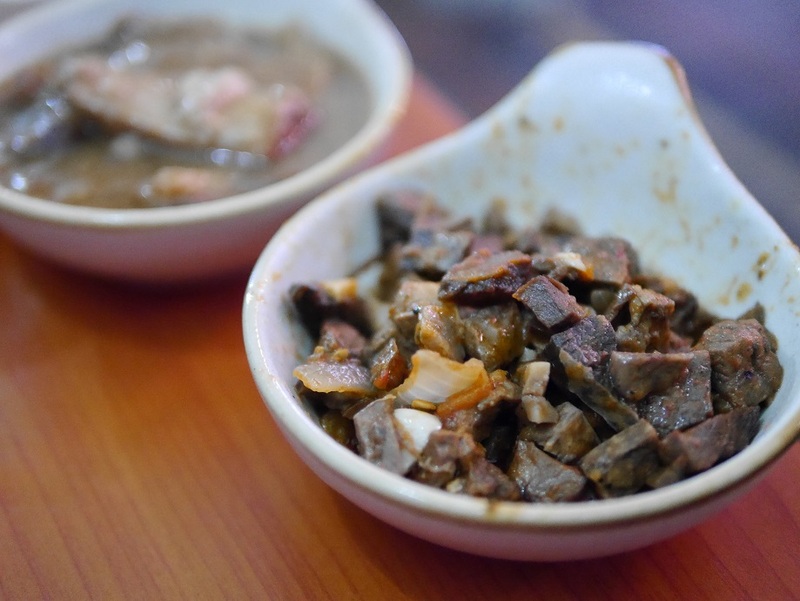 This beef lungs dish has Spanish origins. Actually quite nice and spicy, sauteed in onions, chillies and tomatoes. Again you need rice for this! Interior. No seats. All dining outside the shop. Kris and me. 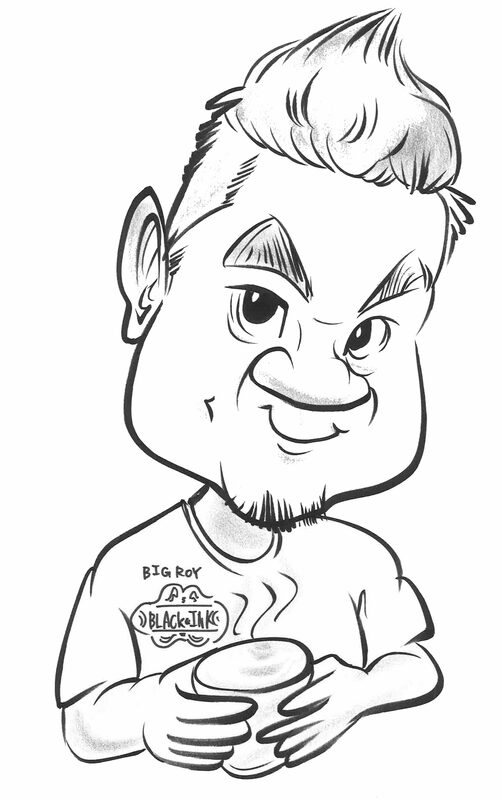 Wish him all the best in his business! Taste: Pretty authentic. All the meat bases are of Lechon cos Filipinos do not waste their food. Extra food are usually used in other dishes so there is no wastage! You know it’s good when you can see so many Pinoys frequenting this place! Really love some of the dishes here and will be heading back for more soon! Portion: Average. Please note that there are Rice Meals prices and Ala Carte prices. Ask if not sure. Price: Affordable. Ate others before and pretty ex. Ambience: Al Fresco under tents. There are mozzies so please be prepared. Only for the month of December 2017, quote ‘EATWITHROY’ to enjoy a free Bopis when you spend above $20 in one receipt. So hurry check them out soon!